The Annual Ride for the River will return in 2019. 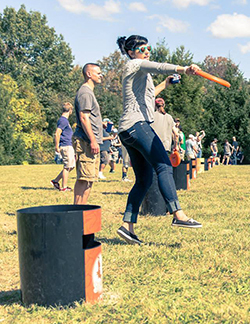 Schuylkill River Greenways organizes the event and it’s held in partnership with the Sly Fox Brewery’s Can Jam Music Festival. There is a 16-mile and 40-mile ride option that takes place along the Schuylkill River Trail between Pottstown and Reading. 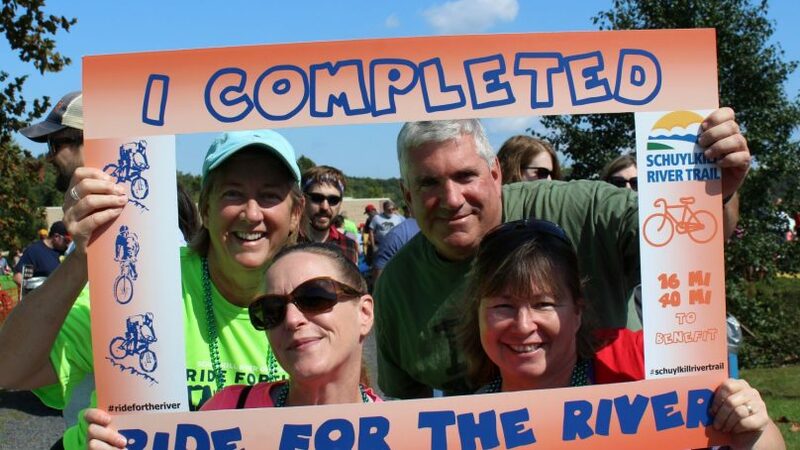 Check back in the summer of 2019 for registration details for the upcoming 4th Annual Ride for the River. 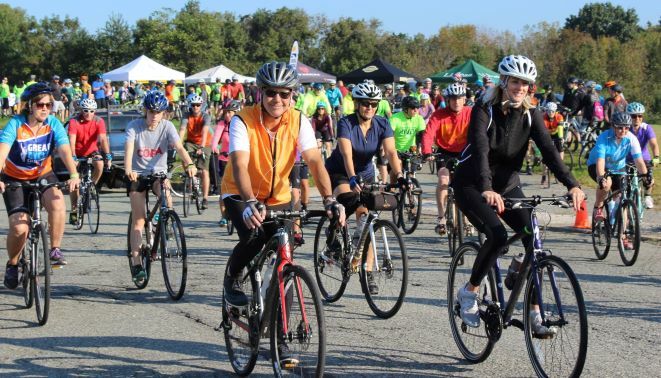 About 300 bicyclists participated in the annual bike ride which began and ended at Sly Fox Brewery’s Can Jam Music Festival in Pottstown. 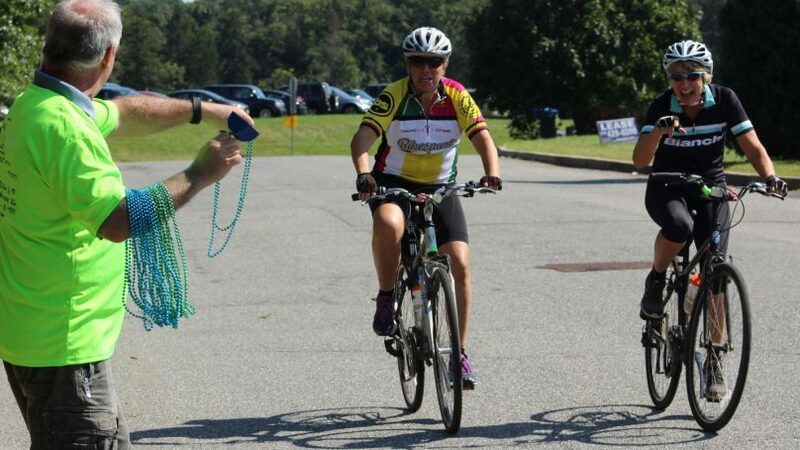 The first wave of riders completed a 40-mile route by traveling to Reading then returning to Pottstown. The second wave of riders did a 16-mile route where they stopped in Union Township before heading back to the music festival. 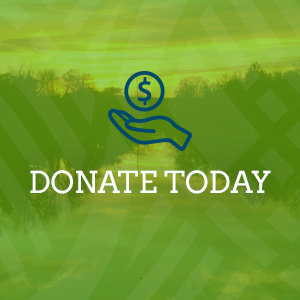 Ride for the River not only highlights the trail and river but it’s also a fundraiser for the trail. 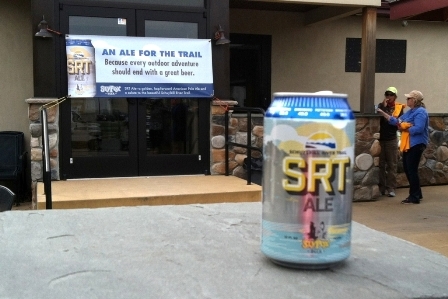 Sly Fox has partnered with Schuylkill River Greenways for the past three years by producing SRT Ale, an ale that benefits the Schuylkill River Trail. During the music festival, Sly Fox presented representatives of the Schuylkill River Greenways National Heritage Area with a check of $5,630 from the sales of this year’s SRT Ale. The ale has been a seasonal offering but attendees of the 2018 music festival were the first to find out SRT Ale will now be available all year long. Special Thanks to All Our Volunteers!!! 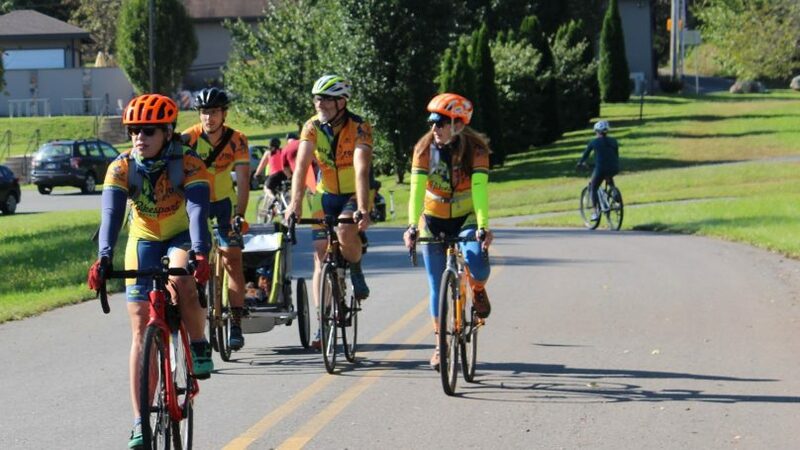 We couldn’t have organized this ride without the more than 60 volunteers who helped with planning, trail improvements, route markings, road crossings, registration, parking, ride support, bike repairs, rest stops and more. We extend a sincere thank you to all volunteers, fire police and members of our planning committee who worked hard to make Ride for the River a success. We also extend our thanks to BikeSport for providing on-ride support as well as to Riverbend Cycles, Trek and JB’s Bike Shop for performing safety checks and providing bike assistance to riders. Special Thanks to All Our Sponsors & Partners!!! All riders receive voucher for free food and one free beer! Fully stocked rest stops! Ride support! Complimentary pre-ride bike safety checks! Well marked route! Optional hill climb! 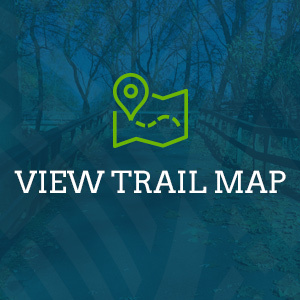 Add four miles to your ride with an optional hill climb along the Hopewell Big Woods Trail that connects to the Schuylkill River Trail in Union Township. The Big Woods Trail consists of a nearly 2-mile gentle upgrade with stunning views of Monocacy Hill as you near the top. You can rest at the top and enjoy an easy ride down back onto the Schuylkill River Trail. This is a gravel trail which could have some loose areas, so riders should be cautious on the descent. 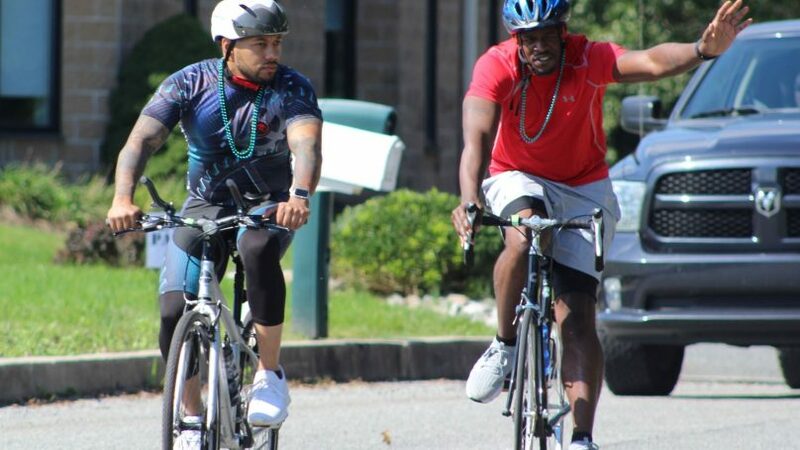 40 mile ride (44 miles with optional hill climb) 9 a.m. start time: Pottstown to Reading and back along the Schuylkill River Trail with a short on-road section to and from the brewery. 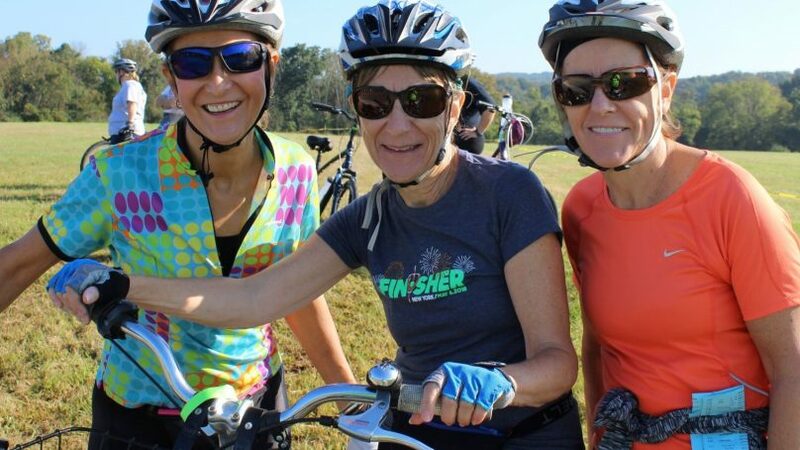 16-mile ride (20 miles with optional hill climb) 9:30 a.m. start time: Union Township Recreation Area and back along the Schuylkill River Trail with a short on-road section to and from the brewery.